How Long Will The Precor EFX 423 Last? Though you may not like the lack of updated programming, the EFX 423 may gain some brownie points with the fact that this elliptical will more than likely last many, many years. Precor has made their commercial structure accessible for home-use by using the same frame in the four hundred series. Accordingly, the EFX 423 has similar quality to the Precor machines that you would see in a fitness club; you know, the same ones that are built to last user after user. No matter what kind of user you are, either serious, light, daily, non-existent, the EFX 423 is likely to last a very long time. Still, please remember that no matter how good the machine's quality is if you treat it like your dog treats the poor chew toy, then you will likely not receive your money's worth of use. 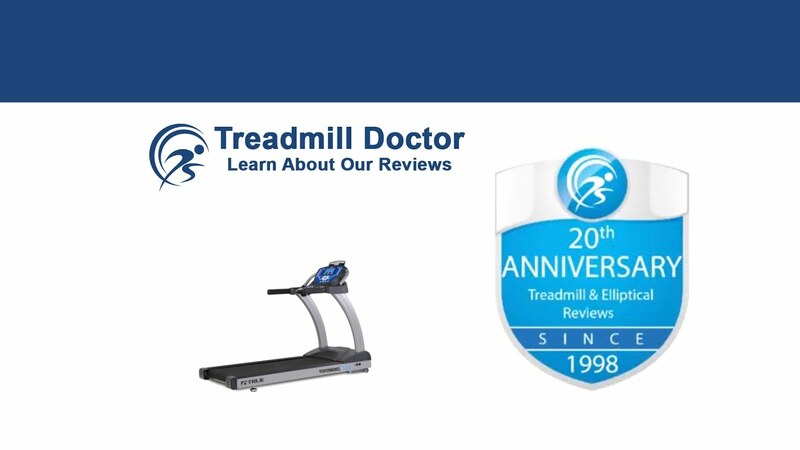 Precor has a reputable customer service that will likely answer any question you may have on how to properly maintain one of their ellipticals. One of the important decision-making factors that helps determine the best elliptical for you is whether or not you personally value substance or style or if you like a balance between the two. While we typically reward models that have a balance, we tend to lean more toward machines that have more substance than style. Let’s face it. In the end, if the machine doesn’t provide a good workout, then the programming and comfort features are useless. With this ideology in mind, we have awarded Precor’s EFX 423 our Second Place 2019 Best Buy Award for $4,000 dollar and Up category. The EFX 423 has Precor’s impeccable commercial design with minimal added features which add up to a slightly more affordable, high-quality elliptical. Precor breaks their ellipticals down into six basic components that make up different combinations: basic frame, basic console, Preva console, commercial frame, movable arms, and no moveable arms. The EFX 423 is the commercial frame, basic console, movable arm combination. While you may be a little wary of the basic console, we have placed this model higher than the Precor models with the better console largely because the price jump is not worth the extra programming in our eyes. We tend to value substance over style and do not like to pay more for the style that is not worth the money. Fortunately, the EFX 423, even with the basic console, still offers ten built-in workouts. We also like that Precor included functional features like the upgraded cross-ramp system. Precor has developed a unique incline system that also changes the shape of stride. The cross-ramp system can basically perform like a stepper or an elliptical depending on the setting. You may notice that Precor does not indicate an adjustable stride or even a set stride length. The cross-ramp system creates a unique way around an adjustable stride. Basically, the lower the ramp goes, the longer the stride. So, if you are taller, you will more than likely be comfortable on the EFX 423. Even still, it is always a good idea to test a model out especially before you spend this much on it. Probably the only drawback that we have with the EFX 423 other than the fact that there are other ellipticals that offer more affordable programming, is the price. You mainly pay for the Precor name. Rolex is very similar to Precor in that their watches are really not that much better than other watches on the market. Yet, they can get away with charging so much because they are Rolex. Likewise, the EFX 423 is priced so high because it is a Precor. Now, there is something to be said about Precor’s quality. The EFX 423 is definitely a high-caliber elliptical with an exceptional build and valuable features. But, you are mainly paying for the Precor name. So, if you do not value the perks that Precor has to offer, then a different, less-expensive brand may be more appealing. The EFX 423 has been named one of our Top 10 Best Ellpitcals back in 2017. We have commended this model for its good combination of quality, features, and value. The only drawback that we have noticed is that this price is largely based on the Precor name and more than likely only appreciated by those who love Precor. Because we tend to value substance over style, we have placed the EFX 423 higher than other Precor models because it offers the same commercial-grade frame without the costly add-on console. If you want to experience a Precor elliptical but do not care much for additional programming, then this is one of the better options. With that said, the EFX 423 has an outstanding build and high-quality features but not much else. There are other ellipticals in this price range that offer more advanced consoles and the same high-quality. Nonetheless, our 2019 Second Place Best Buy Winner for the $4,000 dollar and Up category will likely suit a serious, daily user who appreciates the Precor name well.